Tarrawarra is a town in Victoria, Australia, 45 km north-east of Melbourne's central business district. Start off your visit on the 20th (Wed): do a tasting at Domaine Chandon Winery, learn about winemaking at TarraWarra Estate Cellar Door, and then identify plant and animal life at Toolangi Sculpture Trail. Here are some ideas for day two: do a tasting at Yering Station, then do a tasting at Coombe Yarra Valley, and then learn about winemaking at Helen & Joey Estate. For maps, more things to do, traveler tips, and tourist information, you can read our Tarrawarra trip builder website . Sydney to Tarrawarra is an approximately 5-hour flight. You can also drive. Traveling from Sydney in March, expect little chillier with lows of 12°C in Tarrawarra. Finish your sightseeing early on the 21st (Thu) so you can travel to Bendigo. The Great Aussie Beer Shed and National Holden Motor Museum : Echuca will appeal to museum buffs. Get a sense of the local culture at Bendigo Art Gallery and Rosalind Park. Explore the numerous day-trip ideas around Bendigo: Daylesford (Spas & Wellness, The Mill Markets, & more), Maldon (Maldon Dredge and Dragline, Main Street, & more) and Port of Echuca Discovery Centre (in Echuca). There's still lots to do: examine the collection at Golden Dragon Museum, take in the architecture and atmosphere at St Kilian's Church, admire the striking features of Eaglehawk Log Lock Up, and contemplate in the serene atmosphere at Bendigo Joss House Temple. To find traveler tips, more things to do, and tourist information, you can read our Bendigo trip itinerary planning app . You can drive from Tarrawarra to Bendigo in 2.5 hours. Finish your sightseeing early on the 27th (Wed) so you can drive to Geelong. Geelong is a port city located on Corio Bay and the Barwon River, in the state of Victoria, Australia, 75km south-west of the state capital, Melbourne. 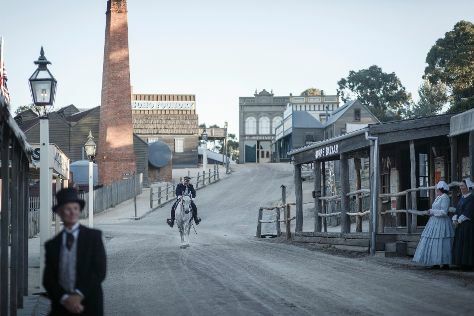 Popular historic sites such as Sovereign Hill and The Rip are in your itinerary. Your cultural itinerary includes sights like Phillip Island Grand Prix Circuit and Split Point Lighthouse. Change things up with these side-trips from Geelong: RAAF Museum (in Point Cook), Ballarat (Ballarat Botanical Gardens, Lake Wendouree, & more) and Werribee Open Range Zoo (in Werribee). There's lots more to do: identify plant and animal life at Koala Conservation Centre, try for a hole-in-one at Grumpys Crazy Golf, examine the collection at Popcultcha Collectors Gallery, and stop by Great Escape Books. For traveler tips, maps, more things to do, and other tourist information, you can read our Geelong trip itinerary planner . Traveling by car from Bendigo to Geelong takes 2.5 hours. Alternatively, you can take a train; or take a bus. In March in Geelong, expect temperatures between 28°C during the day and 15°C at night. Finish your sightseeing early on the 3rd (Wed) to allow enough time to travel back home.